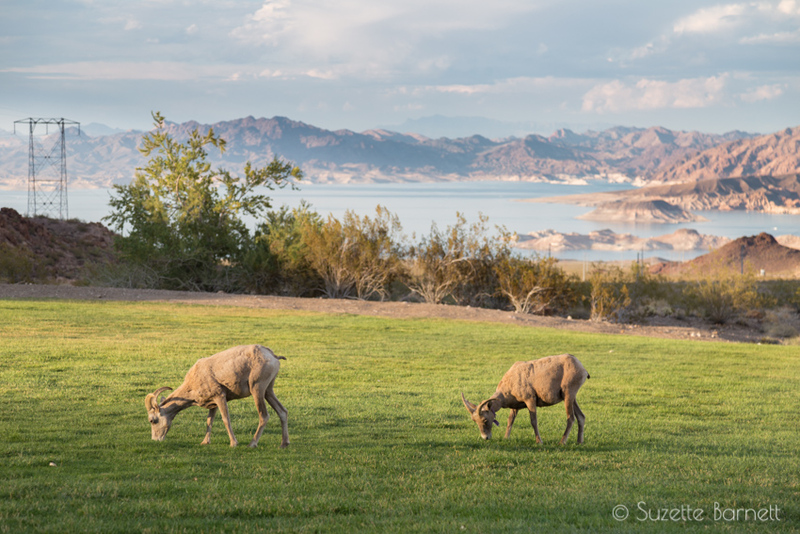 Next time you visit Las Vegas, take a short detour and enjoy a front row seat to watch grazing desert bighorn sheep in the wild, with a beautiful setting of Lake Mead in the background. 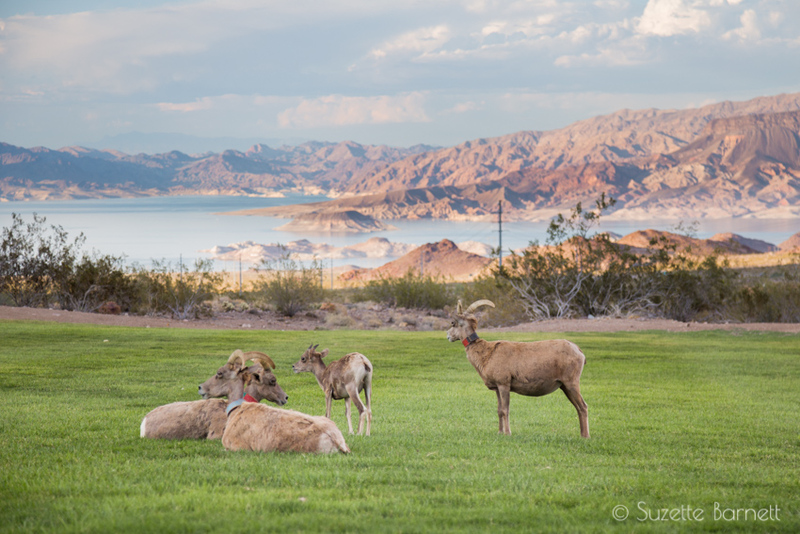 At Hemenway Park in Nevada, just 30 minutes from the Las Vegas Strip, these wild animals come down from the hills each day to feed on the lawns they have been frequenting for over 30 years. The size of the herd varies, but 40 to 50 sheep are a common occurrence. Though the animals don’t seem to care about being close to humans, it’s important to be respectful and quiet. Give them space, don’t use flashes on your cameras, don’t try to call them, chase them or bother them in any way. 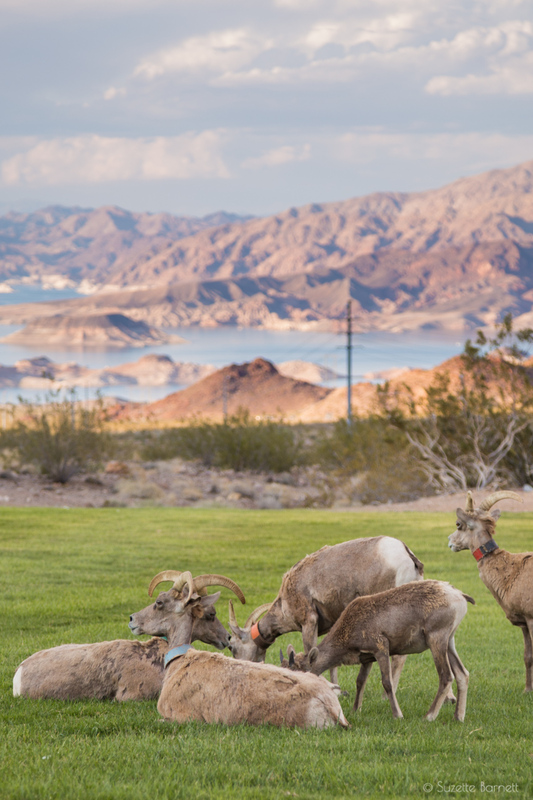 The Conservation Education Supervisor for the Nevada Department of Wildlife Doug Nielsen said, “It’s the only place in the lower 48 that I know of where a person can go and get that close to that animal and just observe. 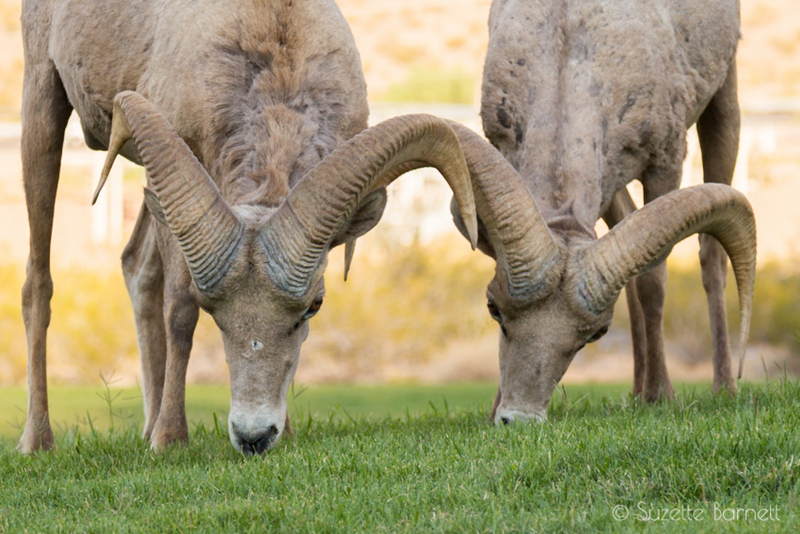 Those same animals there in the park, if you try to walk up to them out in the wild, it ain’t gonna happen.” He also said at the dedication ceremony of Hemenway Park that the bighorn sheep are one of Nevada’s crown jewels. They’re actually Nevada’s state animal. 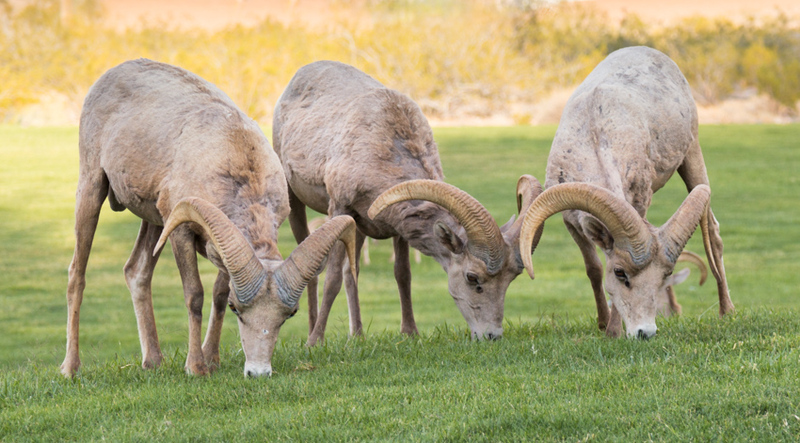 The Parks and Recreation Department found that the sheep had value in maintaining the manicured grass, helping to keep it fertilized and that people really enjoy watching them. They hope that people will understand the sheep better and the importance of wildlife as a whole. The park also has BBQ pits, a covered pavilion for picnics, a small playground, and basketball and tennis courts. It’s a worthwhile stop if you’re heading to Lake Mead, the Hoover Dam or the popular River Mountains Loop Trail. I hope you stop by to enjoy them like I have! As always, thank you for reading.